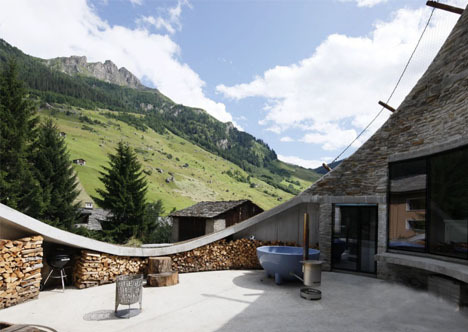 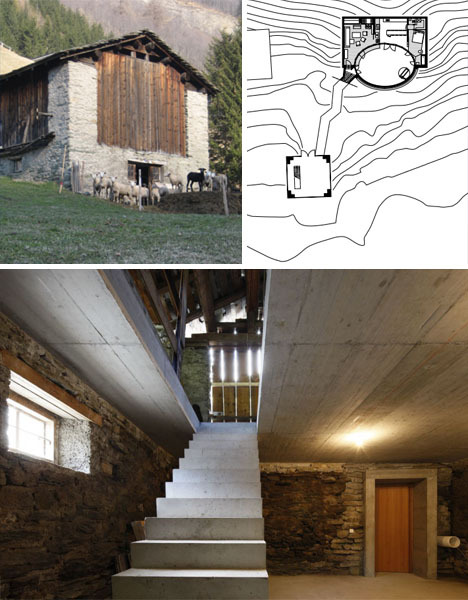 You might remember the last time we covered this gorgeous subterranean inside out abode high up in the Swiss Alps, but before it was available for rent … and fully revealed with an ingenious secret entrance passage. 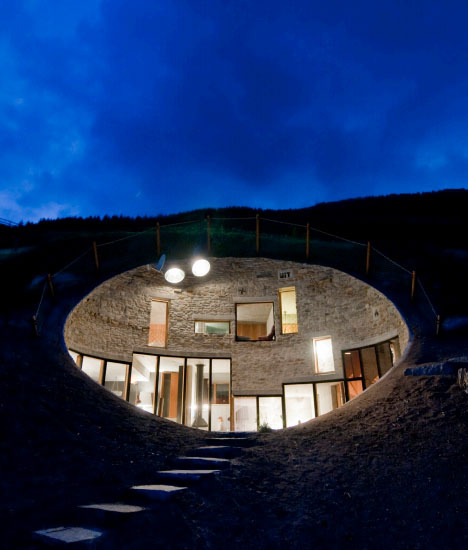 No one would suspect this old neighboring stone-and-wood barn structure would provide the concealed entry such a cool and contemporary home set back from the road, half-hidden in a hollowed-out crater on the hill. 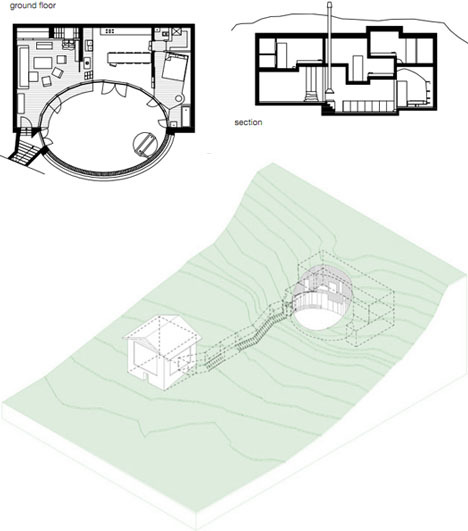 Plans, sections and 3D diagrams from the designers show how the core structure is tucked into the hillside, while an earth-carved tunnel connects to the main understated entryway. 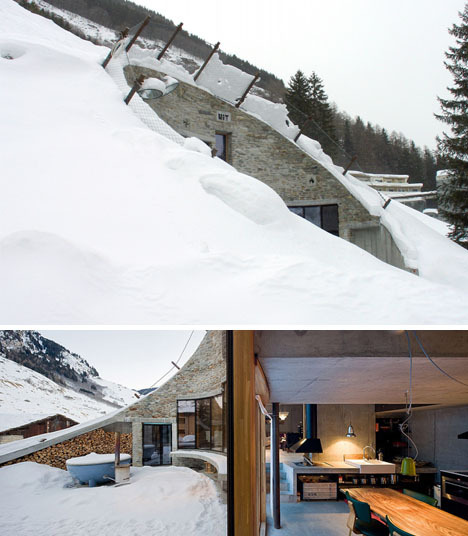 Meanwhile, fresh photographs show off its performance in various seasons and lighting conditions – a warm recessed little retreat tucked cozily under the snow and glowing bright at night. 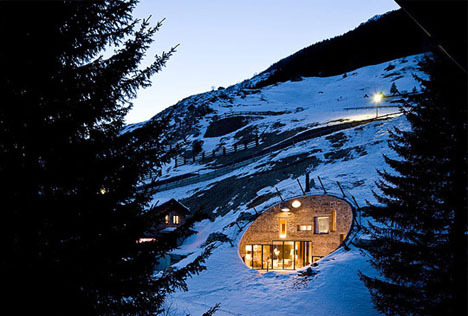 The Villa Vals is a part-time rental, too, so if you are shooting to stay far away from the rest of the world, you could do worse than a quiet town in the remote mountains of southern Europe.